Please click the link below for our nutritious monthly menu. Please click the above link for the January QuickBites Newsletter. in the Port Huron Area School District. Please check with your building for service times. School Breakfast Helps Kids Learn! Helps with comprehension and memory. Improves performance on demanding mental tasks and reaction to frustration. Helps reduce the number of mistakes. Provides the nutrition needed to learn. Encourage your child to join us every day for breakfast! Great news for you and your students! All enrolled students of Port Huron Schools, are eligible to receive a healthy breakfast and lunch at school at no charge to your household each day of the 2018-2019 school year. No further action is required of you. Your child/children will be able to participate in these meal programs without having to pay a fee. Michigan celery production began in Kalamazoo and now stretches through southwest counties of the state. 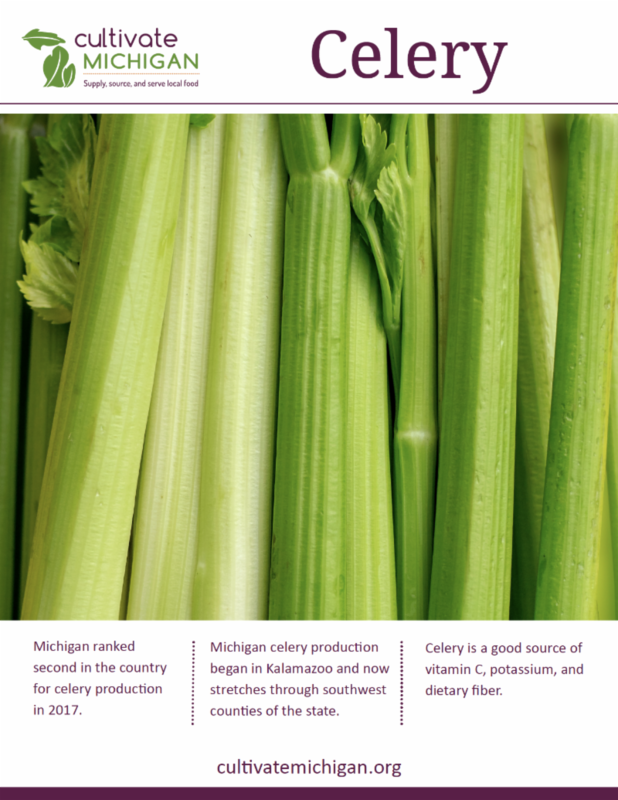 Michigan ranked second in the country for celery production in 2017. Celery is a good source of vitamin C, potassium, and dietary fiber. 1. For the 2018-19 school year, milk will be free for all students who order a hot lunch at school. 2. There will be a $ .40 charge for milk to all students who bring a cold lunch. 3. There has been no increase in the price of milk for this school year. It remains $ .40. 4. For your convenience, you may deposit money in your student's account through the school's front office for the provision of $ .40 milk with their cold lunch. This balance can be checked throughout the year via Skyward access, which will be provided later this month. 5. To maintain milk service to students who bring a cold lunch, their account must contain current funds and cannot be deficit. You will not be invoiced, the account must be updated and maintained. 6. Additionally, water fountain access is provided for all children. Please contact your school's front office with further questions or to set up your child's account. Thank you!